The Nanny Joynt is very excited to share an amazing part time position available in Desert Ridge with an incredible family. This active and busy family has 2 children, their son is 4 years old and is very happy, loving, caring and loves to play outside. He also loves trains, firetrucks and being active. Their daughter is 19 months old and is a happy child who loves to be social. She enjoys Musicology, swimming and is a great sleeper! The family is seeking an amazing nanny to join their family. Mom and Dad both work outside of the home however Mom is in and out of the home some days. This family is looking for a creative long term nanny to help with their household and care for their adorable children. Friday 9:30am until 1:00pm with flexibility to do 1:30pm until 7:00pm on occasion. This family is looking for a nanny who can be flexible on some days with hours. They would also like their nanny to cover some date nights if available. This position is offering $17-$19 per hour with guaranteed hours, paid sick time, paid holidays and mileage reimbursement. The family would also be interested in their nanny traveling with them on vacation and doing an occasional overnight with the kids. This busy and active family is looking for a nanny who will be reliable, proactive, firm, but also very loving. Their new nanny should be patient, energetic, creative, crafty and able to help with school work and projects. A nanny who has a background in education would be awesome! Their nanny should also be warm, calm, responsible, flexible, organized, attentive, punctual, and self driven. Someone who is kind hearted, happy, easy going and has a great sense of humor would be best. The ideal nanny for this family will be someone who is great with children and is seeking a long term position. Tidy common areas of the home, wiping down kitchen counters, etc. Keeping things organized – playroom, kids room etc. Assistance with simple prep for the family – washing and chopping veggies, etc. This family does employ a housecleaner so no deep cleaning just assisting in maintaining order and organization. 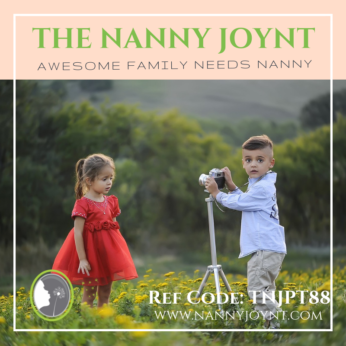 They are seeking a nanny who is looking for a long term commitment, a nanny who will become an active part of their family for years to come! Their loved nanny of 3 years will be moving on to pursue other career goals. I was able to meet her and can say without a doubt this will be an AMAZING family to work with! They love their nanny like family and are so sad to see her go however they fully support her and want the best for her. They are excited to find another amazing nanny to partner with them in helping with their children. A nanny who is a great communicator and genuinely loves their job and wants to become part of their family would be ideal. This is a UNICORN family and the children could not be cuter! We are excited for whoever lands this job because you will be so loved!